In 2017, IPS cut the ribbon on a satellite office in the heart of Minnesota’s busy digital-medicine R&D ecosystem and two months later launched a consulting practice focused exclusively on medical product design. The new practice provides companies with complete software and hardware design services for Internet-connected smart devices and non-connected medical products. Services range from prototype through manufacturing, including design and development of software applications. The practice is especially keen on Internet of Things integration, usability design and other hallmarks of the IPS operation, including “medical wearables” and topflight data-security protocols – ensuring patient data flowing through devices with next-level connectivity remains secure in compliance with regulatory requirements. IPS has a history of successful medical product design and healthcare-related products engineered at the Hauppauge operation, including an award-winning “smart pill bottle” commercialized by New York-city based AdhereTech . The product improves medication adherence by reminding patients to take their medication and automatically connecting them with their healthcare providers for assistance in medication tolerance. In addition, our team at IPS designed the iKeyp, an IoT-integrated personal safe designed for prescription bottles and other items of value. IPS’ expertise in developing smart, connected product solutions, combined with expertise in medical device development, allows for a competitive advantage in this fast-growing area of new-product development. 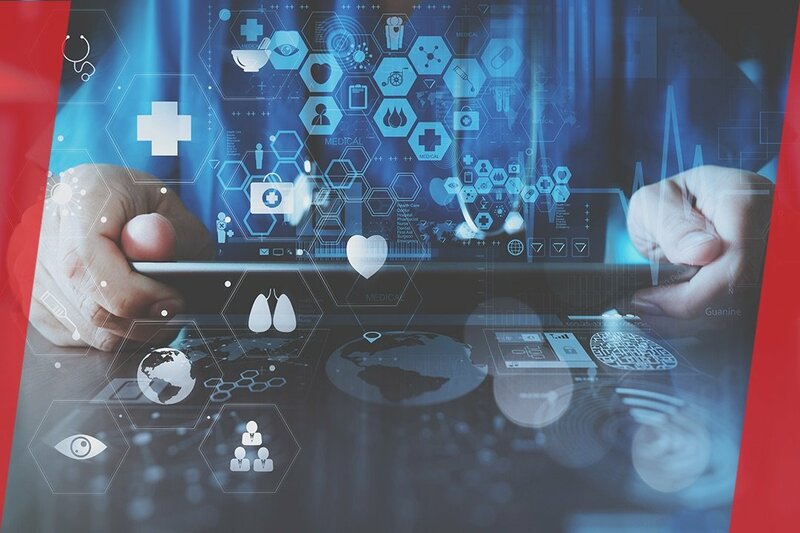 As healthcare pushes into the digital era, medical-device companies are seeing the need to connect devices to drive outcomes. Being a single source solution creates opportunities for ideal partnerships with medical product companies. At the start of 2018, IPS strengthened their presence in the healthcare field being acquired by Forward Industries. Incorporated in 1962, and headquartered in West Palm Beach, Florida, Forward Industries is a global designer and distributor of custom carry and protective solutions. Forward has subsidiaries in Switzerland and the UK. Technology is redefining the future of healthcare. The upward swing in the global healthcare industry is a result of the technological and medical advancements and are forcing players in the medical device market to emphasize on innovation. According to Research and Markets, the wearable medical devices market is expected to reach USD 14.41 Billion by 2022 from USD 6.22 Billion in 2017. In addition, the global medical device connectivity market is projected to reach USD 1,344.1 Million by 2021 from USD 413.7 Million in 2016. One of the main factors fueling the growth of this market is the need to integrate healthcare systems for improving the quality of care.